on you as you circle the fish bowl. You ride in fish! Red, Blue, One or Two. I recently flew across the country and visited Universal Orlando and the Universal Islands of Adventure. They do a great job of theming and adding new and amazing things. (I'll talk about Harry Potter later!) One of the more fun areas of the park is the Dr. Seuss area. It's more themed for little kids, but everyone can enjoy it. There's a "One Fish, Two Fish, Red Fish, Blue Fish" ride where you spin around the fish bowl and the big fish on top spits water at you. There's also a Caro-Seuss-Al, filled with Seuss like creatures that carry you around and around, and up and down. You'll recognize many of the creatures from your favorite stories on the carousel. They had a green eggs and ham stand, but it was closed by the time we got to this area. I don't know if they actually served Green Eggs and Ham. My Sister is such a Grinch sometimes! Do you remember, in the 90's, when the Care Bears went environmental? They got a bit of a make over, that wasn't too popular. The bears got these expanded graphics on shiny tummies with super bright colored fur. They just weren't as sweet and cuddly as they once were. 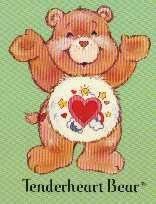 Care Bears Forever This site has some fantastic images of Care Bears old and new and those funky environmental bears! A few of my Care Bears items on ETSY. Mmmm, Nestle Quik! This fun book tells all about how to make lots of tasty items using Nestle Quik. Buy This Book on Etsy for only $5! Quik Bunny and Semi-Sweetie are your tour guides to great tasting treats! Remember kids, always get help from an adult!!! Love the spoon and plastic Diner cup. I wonder if the coupon is still valid? There's no expiration date. Get your new friends in plush versions too! And don't forget to beg your parents to buy all of these great Nestle products kids. If you have been following the blog for a while, you know that I LOVE LOVE LOVE the Drive-In. My closest Drive-In theater is The 99w in Newburg, Oregon. This theater opened in 1953 and is still run by the Francis family today. Next year all movies will be digital and no longer produced on film. That means that Drive-Ins across the country have to upgrade to new digital projectors. These are about $80,000. A small independent family run theater just doesn't make that much money. Honda is running a promotion. 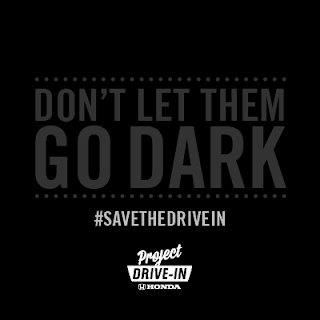 Project Drive-In allows people to vote everyday for the next 30 days, for their favorite Drive-In. They are giving away 5 digital projectors to the top 5 Drive-Ins. You can also pledge to support your local Drive-In by, you know, going there. And you can share on Facebook, Twitter, Pinterest or whatever. I'm gonna remind you a few times because I feel that it is really important to keep our cultural history alive! So please go and vote AT LEAST once! Please vote for the 99W or your local Drive-In. Reproductions - or - Does it have a tape deck in the side? I konw that most serious collectors hate reproductions. But, I don't consider myself that serious! I actually think that reproductions, or repops, have their place. It's great for a newer collector, or a broke collector like me, to get something that they may never find or afford. They can be useful and functional, while originals may just be for show and don't work or aren't useful. In the 90's, when people really started to get interested in the past again, lots of reproductions hit the market. 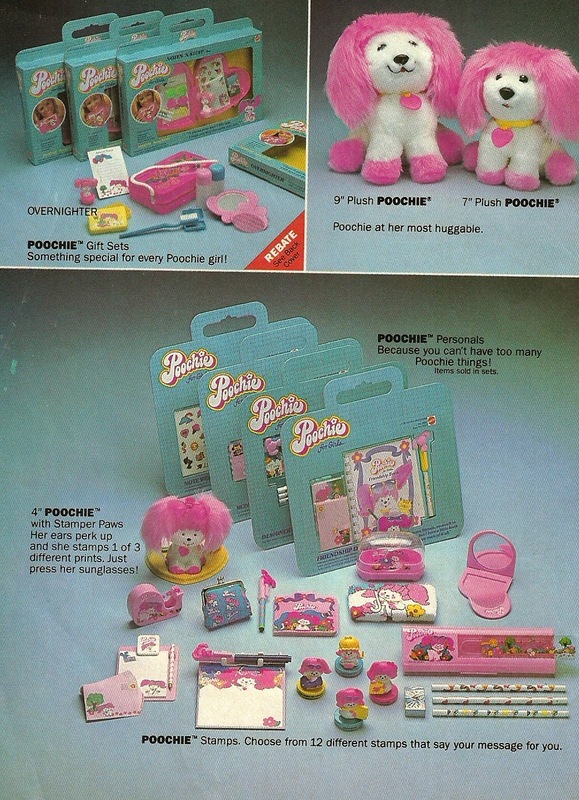 We were still in the age of wanting everything new and shiny and so no one seemed to care that items were repop. One of the most popular repop items were the old radios. Great little wood cathedral shaped radios, with a tape deck on the side. My sister and I go to a lot of antique malls and collector's shows. Our fun way to identify a repop is to say it has a tape deck in the side. Even if it's a repop Barbie or Coke item. This DOES have a tape deck on the side! I must have one of these! Great 40's style reproduction Radio, with, you guessed it, a tape deck in the side! I like the combo of the wood and the digital buttons! On this reproduction vintage phone. But I don't think there ever really was a phone that looked like this, it's too strange looking. It's as if they mixed a bunch of different old phone ideas together. Love the pay phone, we have this in PINK! This singer sewing machine reproduction is AWESOME!!! These great images came from a 1993 Montgomery Ward Direct catalog, that I have on ebay now. There is some other pretty great stuff in there too! When you see this gal coming you know you are going to be pressured into buying a boat. One Garth Brooks song comes on the radio and suddenly everyone wants to be a cowboy! Oh, me too, me too! Mickey Mouse Kitchen. I'll take real versions of these! Amazing Thoms the Tank Engine bunk bed. These outfits are a little dated for 1993. I think my sister had this outfit in 1983. Play tractor, play Harley Davidson, and Batmobile!! I had that Epson printer, it was the WORST. It took 3 minutes to print out one page, and I had to replace the ink after 5 or 6 pages. That is, when it worked.